ARRI announces the upcoming release of Software Update Packet (SUP) 2.0 for AMIRA cameras, and the subsequent release of SUP 3.0. The former unlocks 4K UHD recording for high-resolution pipelines, while the latter enables MPEG-2 MXF recording for streamlined, broadcast-friendly workflows. Together they stretch the already wide spectrum of AMIRA’s deliverable options at both ends of the scale, making the camera an even more versatile production tool. Underlining the positioning and success of AMIRA as the perfect camera for productions ranging from documentaries, reportage and corporate films to TV and low-budget movies, these two major software updates in the first half of 2015 will enhance the feature-set in ways that respond specifically to customer requests and industry trends. With its flexible, re-programmable system architecture, AMIRA will continue to expand in functionality over the coming years in the same way that ALEXA has done since 2010, allowing it to keep pace with a rapidly evolving market and deliver a strong return on investment. 4K UHD recording is the major new feature of AMIRA SUP 2.0. Enabled by the software update, it is activated through the purchase of a 4K UHD license at the ARRI License Shop (and a camera sensor calibration at an ARRI service center for cameras purchased in 2014). The new 4K UHD recording format has been developed for productions that need to generate high-resolution deliverables. It allows ProRes codecs up to ProRes 4444 to be recorded in Ultra High Definition 3840 x 2160 resolution directly onto the in-camera CFast 2.0 cards, at up to 60 fps. Optional in-camera de-noising, sharpening and detailing tools permit the image to be optimized for specific applications or matched to different cameras and lenses. Further enhancements provided by AMIRA SUP 2.0 include ProRes 3.2K recording (allowing cross-compatibility with ALEXA cameras running ALEXA SUP 11.0); WiFi remote support; the ability to monitor audio channels individually; additional lock functions to prevent the accidental pressing of buttons or switches; frame rate adjustments while in pre-record mode; frame grabs from the live camera image; and many more. The key new feature of AMIRA SUP 3.0 is the ability to record MPEG-2 422P@HL at 50 Mbit/s in an MXF wrapper. This XDCAM-compatible MPEG-2 recording format allows television productions to take advantage of AMIRA’s superior image quality and ergonomics, while utilizing a low-bandwidth codec that can easily be integrated into typical broadcast environments and workflows. Recording MPEG-2 MXF with AMIRA ensures 100% compatibility with the format already used by many low budget or time-pressured television productions, for which a streamlined workflow through ingest, editing and post is vital. This cost-efficient format minimizes the number of memory cards needed on set, but also reduces postproduction and archiving costs through reduced data rates and seamless integration with standard tools. In order to further ease the integration of AMIRA into fast-paced television production environments, a new audio accessory will be released. Taking the form of an extension to the back of the camera body, it will equip AMIRA with a slot for a portable audio tuner/receiver. This will allow signals to be received wirelessly from either the sound recordist’s mixer or straight from radio microphones, accommodating the needs of ENG-style productions that capture audio directly in-camera, but value the most cable-free configuration possible. Other features of SUP 3.0 will include a versatile camera remote control interface for multi-camera live or scripted productions; Super 16 mm lens support; an intervalometer function for time-lapse applications; and a host of general usability enhancements. 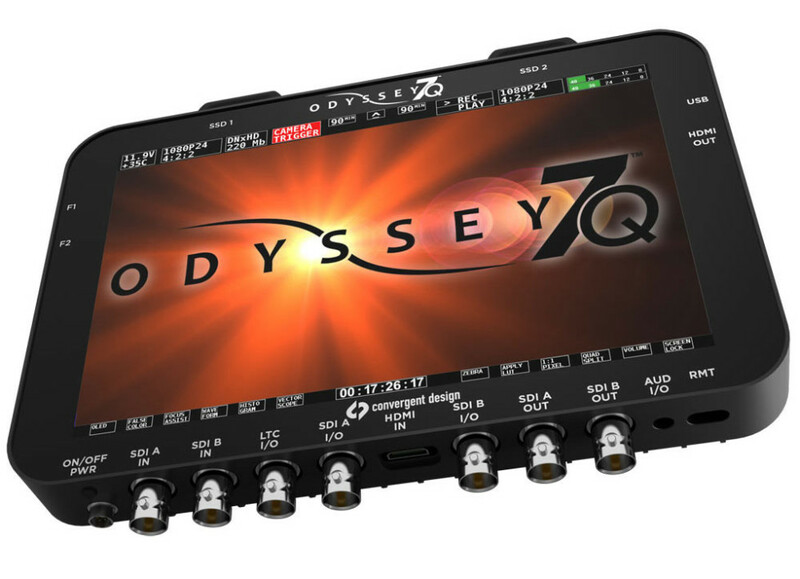 Convergent Design has released a firmware update update for the Odyssey7, Odyssey7Q and the new Odyssey7Q+. This release adds features, improves current functions and fixes some previous issues. 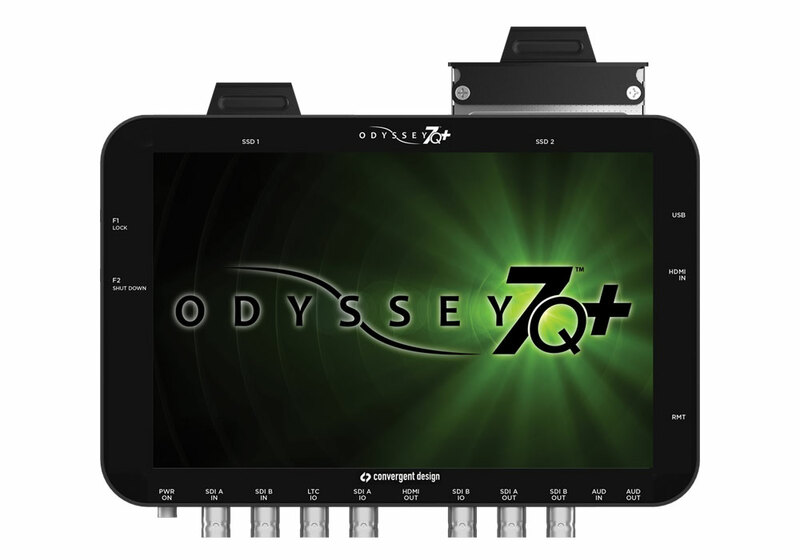 All Odyssey7Q warranties are automatically extended to January 1, 2016. Allows HD video signal over HDMI as one of the inputs for Multi-Stream Monitoring. Allows 720p HD video signal for Multi-Stream Monitoring. Mixable with 1080i and 1080p HD video. Start/stop recording on Odyssey from Panasonic GH4 (with new GH4 firmware) and Sony a7S. Capture timecode data from Panasonic GH4 (with new GH4 firmware) and Sony a7S. 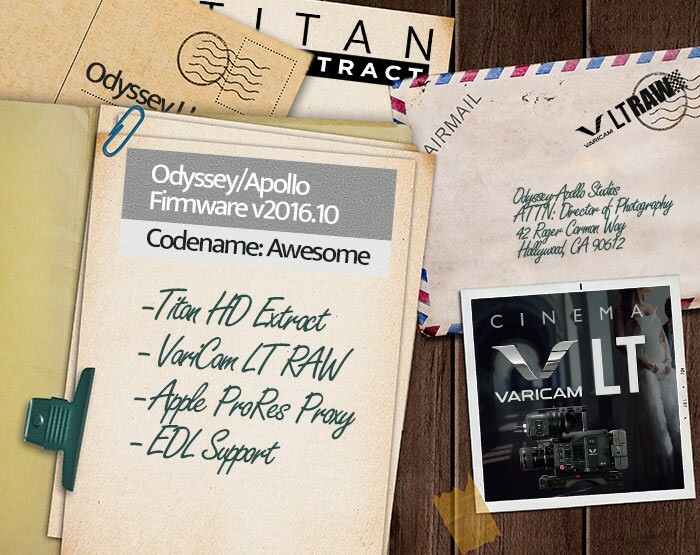 Allows the use of the new Odyssey 1TB SSD in Odyssey monitor/recorder. Up to four user-programmable frame guides in six color options. All four frame guides plus one preset frame guide can be displayed concurrently. Expanding PLAY Markers functionality, a Notes text field is now available in Clip XML data as well as a Good/Bad take indication. Used in conjunction with new CD APPLE PRORES TRANSFER UTILITY 1.5, a Final Cut XML can transfer Markers and Notes to FCPX, FCP7, Adobe Premier and Resolve 10 & 11. Certain modes add choice of true progressive (p) or Progressive-Segmented Frame (psf) video output for expanded compatibility with other equipment. RGB Gain and Saturation controls added for the OLED display, with reset. 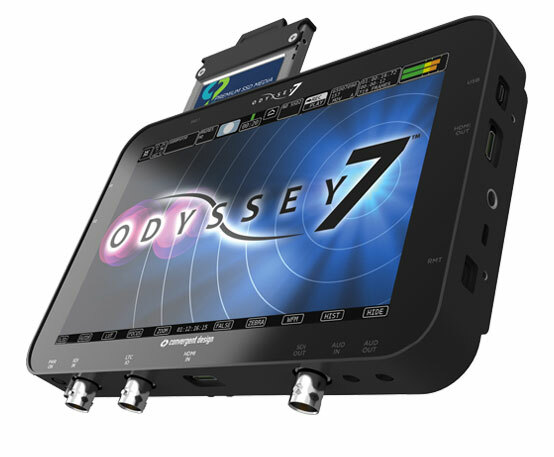 Today Convergent Design releases the long-awaited firmware update for the Odyssey7Q. There are improvements to old functions, fixes to some issues, and numerous new features. “4K2HD” FS700 4K RAW to Apple ProRes 422 (HQ) 1920×1080 recording up to 30p. This feature supports either SLOG2 or IT709 (REC709) Picture Profiles. 1080p super-sampled from 4K RAW for a superior image. Download the Firmware Update. You will be directed to a page where the firmware can be downloaded, with release notes, and updating instructions. An Odyssey SSD is required to perform the update. Find out about new features, products and innovations from Convergent Design at NAB 2014, booth C7113.